Far in the future, mankind is ruled with an iron fist by a galaxy-spanning corporation that breeds soldiers, terraforms planets relentlessly and routinely commits genocide. 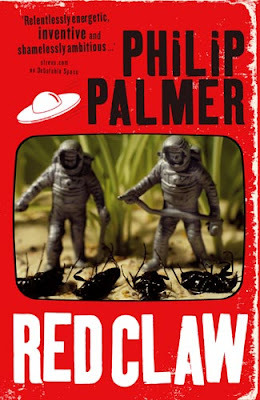 Red Claw takes place on New Amazon, a planet of rampant jungle and insidious wildlife. Professor Richard Helms leads an expedition sent to explore and classify the wildlife before it is wiped out during the terraforming process. Philip Palmer doesn’t hold back on extravagant plot twists, bizarre alien biology and larger-than-life characters. At the risk of sounding cliched, it’s a roller-coaster ride: through destruction, intrigue, murder and chaos.